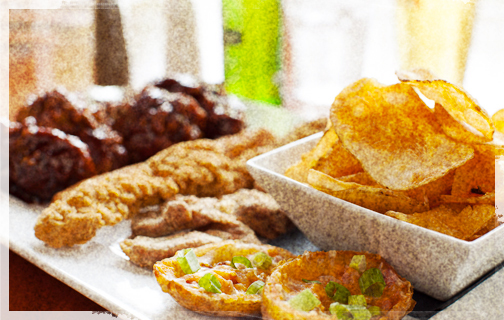 A gathering of big league favourites: potato skins, cheese sticks and our famous Kettle chips. Served with dipping sauces. Sure to be a Bigs ultra fan favourite. 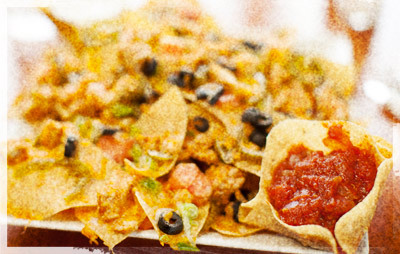 Our Nachos are served with your choice of salsa and sour cream on the side. Or topped with Salsa and served with sour cream on the side. 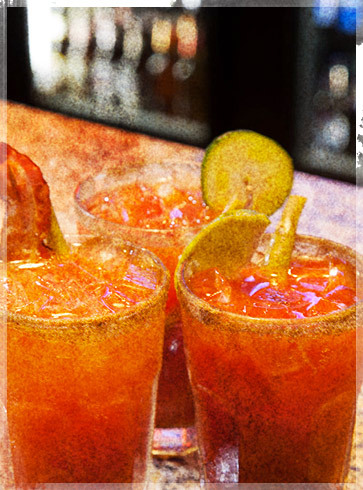 Combine better drinks with better service, food and value and *Boom* you're in the Big Leagues. It's down to this! 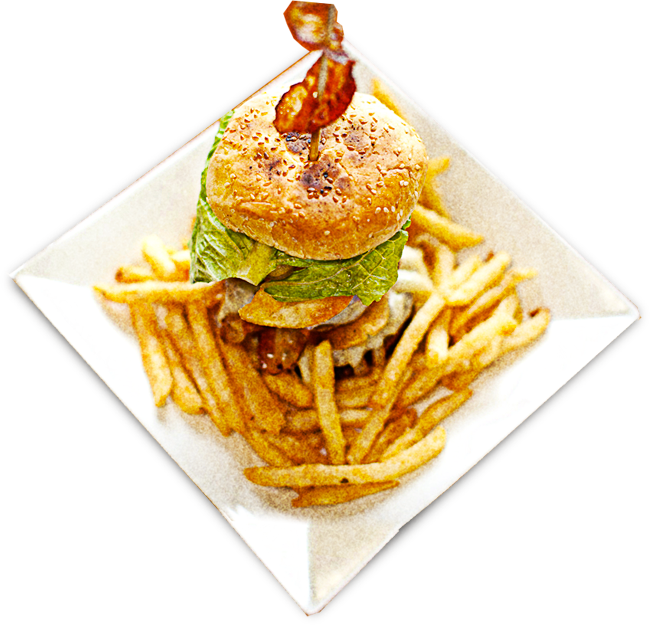 One full pound of beef, Monterey Jack cheese, grilled onions, bacon, lettuce and tomato on a sesame seed bun. May as well get the fries!